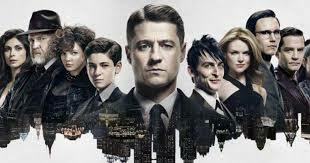 The hit television series Gotham is currently hiring talent to play “attractive, dangerous, edgy character type club patrons.” Gotham has begun filming for its third season that will air on the FOX network. Filming for this particular role will occur between June 20th and July 15th and casting directors are looking for models and actors between the ages of 20 and 40. The series Gotham is based upon the early life of Bruce Wayne and a younger James Gordon. Gordon, played by Ben McKenzie, is a young detective who is trying to uphold the law in the corrupt city of Gotham. The series also introduces many famous Batman villains such as the Joker, Riddler, Catwoman, and the Penguin. The show also includes the adventures of a young Bruce Wayne who often teams up with a young Selina Kyle, also known as Catwoman. GWCI is seeking SAG/AFTRA/NON-UNION to portray attractive, dangerous edgy character type club patrons for Fox’s GOTHAM. Works TBD between 6/20-7/15. Age range 20s-40s. This is for background work only. Background work is a full day/night availability. Everyone must have proper ID in order to work and MUST LIVE IN THE TRI-STATE AREA.